An informative guided tour of Highgate Cemetery followed by an afternoon visit to Kenwood House, Hampstead at leisure. With its sinuous paths winding up a steep wooded hill and ivy-clad monuments, here is a secluded funerary landscape at its most evocative. The West Cemetery is home to the most impressive architectural features of Highgate Cemetery  the Chapel, Colonnade, Egyptian Avenue, Circle of Lebanon, Terrace Catacombs and the mausoleum of Julius Beer. Enjoy an informative guided tour of lasting 75 minutes. Please note that the Highgate West Cemetery has steps, steep and uneven paths and no seats. Sensible shoes are advised. 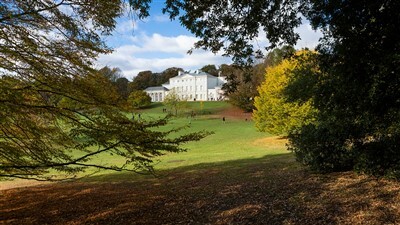 On the edge of Hampstead Heath surrounded by tranquil landscaped gardens, Kenwood is one of London's hidden gems. The breathtaking interiors and stunning world-class art collection are free for everyone to enjoy. With a café to relax in and acres of grounds to stretch your legs, there are treats in store for every visitor. Come and see what Kenwood has to offer you.